Our website gives you a wide range of production and data analysis resume and cover letter that can always come in handy when you are preparing your resume or cover letters for production and data analysis fields. 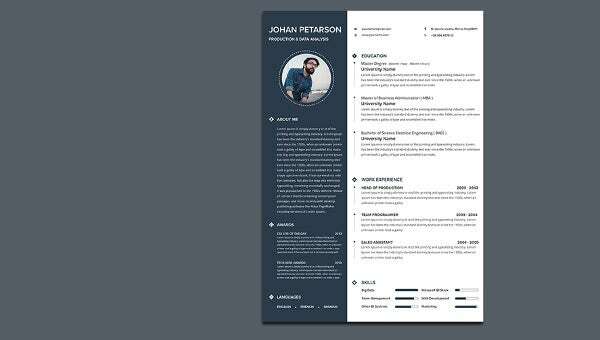 These Resume Template are available in proper and complete format, which not only helps in making your work easy by simple format, they also help in saving you a lot of time. These templates are available in fine print that can always make your work impressive. You can download and print these templates in PSD format.